Home Blog What is Glass Mastering? Glass mastering is the first phase in the CD DVD Blu-ray replication process. 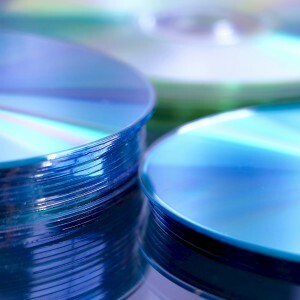 This process involves the master disc content being moved onto a glass substrate, known as the glass master, in order to produce CD, DVD, or Blu-Ray discs by injection moulding. CD Stampers or DVD dies are used for the injection moulding of discs. The reason why it is called “glass mastering” is because the information is duplicated onto a special chemical covering on a round block of glass. The block of glass is actually bigger than a CD – usually 240mm in diameter and 6mm deep – to ease handling and to evade the sensitive data zone from being touched or damaged. The glass master is polished until it’s very smooth as even miniscule scratches can affect the quality of the CDs being made. Glass mastering is performed in a class 100 clean room which is ten times cleaner than a working theatre. A class 100 clean room is designed to never allow more than 100 particles (0.5 microns or bigger) per cubic foot of air. It is designed like this because dirt, pollen and smoke particles can all the effect the quality of a CD glass master while its being organized, so the mastering facilities are kept as spotless as possible. All glass masters are systematically tested and eclipse reports are sent for any and all inconsistencies. The first stage of producing the glass master is cleaning the glass plate, before applying a photo resistive light sensitive material of around 140-150 microns. That is then burnt using a Laser Beam Recorder. When it is exposed to the laser light, the photoresist undergoes a chemical response which toughens it. After the photoresist mastering stage, the established glass master is placed in a vapour deposition metaliser which drops the compression inside a chamber to an extreme vacuum. A quantity of nickel wire is then heated to white hot temperature and the nickel is placed onto the moving glass master. The glass master is covered with the nickel vapour up to a usual thickness of around 400nm prior to being detached. The data contained on the metalised glass master is very delicate and has to be shifted to a more resistant form for use in the injection moulding gear. The now metalised master is then switched around in a plating tank containing a nickel salt resolution (Nickel Sulfamate). The electroforming process usually takes around 1 hour to make a 0.3mm thick uniform nickel sheet. This master is called the “father” and a negative of the father, called the “mother”, needs to be made to be able to hit the pits and grooves into the membranes on the final CDS and DVDS that the customer collects. The mother glass master is produced from the father using electroforming, and the mothers are then used to knock holes in the membrane layer on replicated CDS and DVDS. This will let the light through to reflect off the silver aluminium layer in the core of a CD or DVD. Glass mastering is a significant part of both CD duplication and DVD duplication. 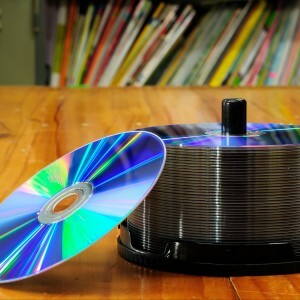 All CD-ROMs require glass mastering and, as such, it is a major part in the production of CDs. With glass mastering it improves not just the quality of the CD and DVD, it also improves its lifespan. Therefore, with these benefits, it is very likely that glass mastering will be around for some time. If you have any further questions related to glass mastering, or any of the other services we deliver here at VDC, why not get in touch? We offer you outstanding service and a quality finished product, whether you are looking for CD replication or DVD duplication, contact us today for further information.